Kerala is heaven for honeymooners, also known as "God's Own Country" is among the best honeymoon destination of India. Located in Southern most part of India, Kerala is the most favored destination for honeymoon couples. Now couple's or honeymooners from Mumbai can enjoy the beauty of Kerala with this best Kerala Honeymoon Package from Mumbai City. Mumbai is very well connected to Kerala via railway line and airlines. So if you are living in Mumbai and are searching for a honeymoon destination than Kerala can be the best honeymoon destination that offers calm backwaters, beaches, hill stations and great place to enjoy with your better half. This Kerala Honeymoon Package from Mumbai will let you explore the most romantic destinations of Kerala. 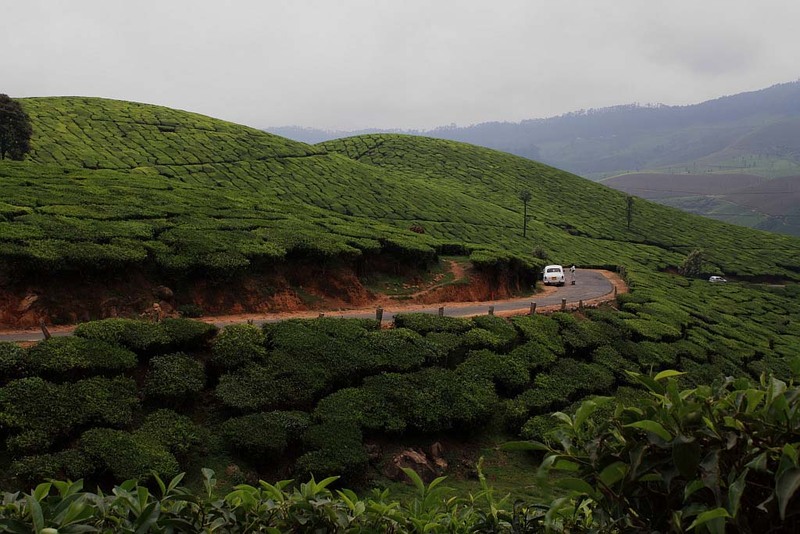 Today after breakfast you will be picked up by the driver for Munnar Sightseeing which includes Munnar Tata Tea Museum, Mattupetty Dam, Kundala Lake, Eco point, Top station and Blossom Park. After lunch head to Eravikulam Wildlife Sanctuary which is a beautiful park with abundant natural beauty and animals. Today After breakfast you will be moving towards Thekkady– one of the best destination for exploring the wilflife of Kerala. Thekkady is considered a haven for natural spices such as black pepper, cardamom, cinnamon and clove. Thekkady is famous for the Periyar Wildlife Sanctuary and one of the best places for viewing wild animals. Check in to the hotel after wards you will be taken to explore the area and boating in the Periyar Lake. Overnight Stay at hotel. 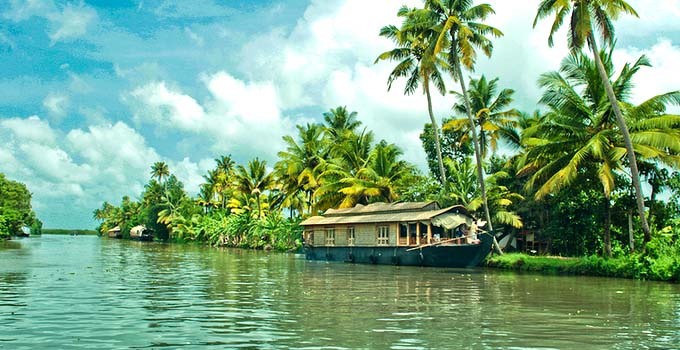 After Breakfast you will be taken to Alleppey – the famous backwater destination in Kerala. One of the must-do things in Alleppey is to board one of the many magnificent houseboats and go on a cruise of utter pleasure and romance. The exotic backwaters and inland waterways in and around Alleppey provide for some of the most romantic moments. After reaching Alleppey you will be checked in to the houseboat. 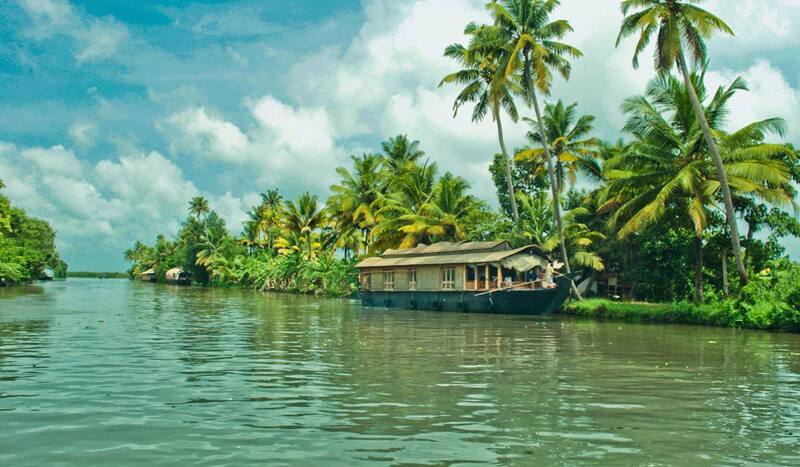 Now you can explore the great backwaters of Kerala while cruising in Houseboats. Overnight Stay at Houseboat. Today You will be taken for sightseeing tour to Trivandrum City. You will be visiting the famous Padmananhaswamy temple, Napier Museum, Vizhinjam lighthouse and Vellyani Lake.Evening at Your Leisure.The Hawa beach Beach is ideal for travelers looking for virgin, secluded & calm stretches of sandy shores. The sunset in all its beauty can be viewed from this headland. Today After breakfast you will be moving towards Thekkady– one of the best destinations for exploring the wildlife of Kerala. Thekkady is considered a haven for natural spices such as black pepper, cardamom, cinnamon and clove. Thekkady is famous for the Periyar Wildlife Sanctuary and one of the best places for viewing wild animals. Check in to the hotel and relax. Afterwards, you will be taken to explore the area and boating in the Periyar Lake. If you are not able to make up your mind from any of the tour itinerary or hotels listed above in Kerala Honeymoon Packages from Mumbai, then we can also make changes and provide a customized, tailor-made romantic honeymoon vacations, especially for you. We can modify this package as per your budget, duration as well as the tourist places you’d like to visit or whether airfare should be included or not. This customization helps you make the best out of your honeymoon package with your loved one and keep the candle of romance burning.